WISDOM Mutasa continued with his magic on Wednesday when he scored and provided an assist as CAPS United beat Chicken Inn 2-1 at Luveve. Mutasa scored in the first minute – prior to this game – in CAPS’ 2-1 win over Nichrut at home. The former Dynamos midfielder is delighted to score in consecutive games and is looking forward to carry on the form. “I am happy that l scored and also happy that l have been scoring for my team. I haven’t been in good form lately but after this, I’m back in the game. “I am back in the game and people will see the better of version of me. I think this does not happen overnight it’s only through hard work. 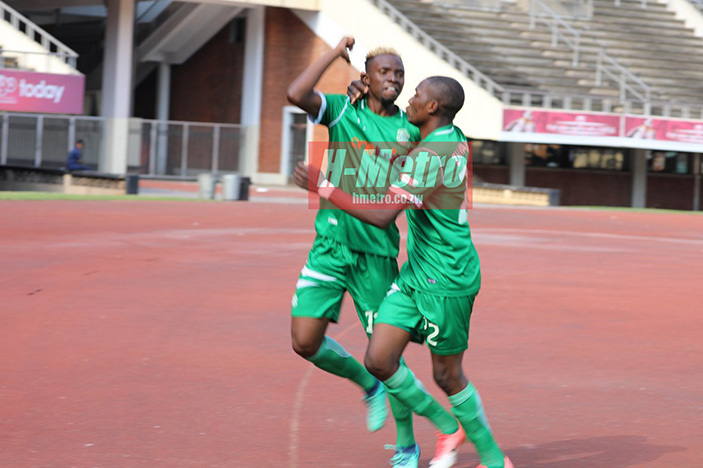 “As a player l have been trying to improve myself and the way l play,” said Mutasa. Mutasa was given the chance by coach Lloyd Chitembwe after the team had only scored once in six consecutive matches. It seems Mutasa has grabbed the opportunity and is promising Makepekepe fans more. “I scored in our last game and l would love to score in every game that l play. “Right now l am just working on being in a good form and getting better than before. “I know that it doesn’t happen overnight but it’s a process and I’m getting there as each day comes by,” he said. “I now have the confidence. My wish is to be able to play in the remaining games.